Rent to own makes a lot of sense for a lot of people, especially when it comes to electronics. Renting to own for people with low cash balances can make a lot of economic sense. Let’s start with some of the positives of renting to own electronics. First, having good electronic equipment is important because it actually saves time and time is money. If your electronics don’t work well, you might be better off not having anything at all. How much time have you spent waiting for your computer to load programs or applications? Another reason you want updated electronics is because of the benefit you’ll enjoy. With a new laptop you can video chat through Skype with out of town relatives. With a newer HD TV you can enjoy programming with the proper resolution, the way it was actually meant to be displayed. With a rent to own computer, you would could get brand new electronic equipment that would allow you to have Skype calls and not go into any significant debt doing it. You can also get a rent to own laptop for the same purpose.There are some arguments against renting to own, but for the most part they don’t hold water. One argument against rent-to-own is cost, but often renting is a viable alternative to an outright purchase. In rent-to-own, you are in essence making payments over time that you would have made all at once, but are not paying an outrageous interest rate you would have on your credit card, or even on in-store credit. Another great thing about rent-to-own is, you can turn it back in and get a new one eventually, instead of paying something off only to have it be worthless or completely worn out by the time you are done with high-interest payments on a credit card or with in-store credit. So anyone arguing that it costs more for rent-to-own purchases may very well be wrong because you might actually be paying less than you would have paid if you had bought the item on credit. Another argument related to cost is the idea that you are on the hook for the entire term of the lease. That is not normally the case however, and if there is a fee involved in ending the lease early, it is not for the full amount. The good thing here is, if you rent-to-own and your situation or needs change, you can pay a penalty and opt out of your agreement. If you buy something with a credit card, you have to pay off the entire debt, or if you purchase it with cash, you will be stuck with the purchase regardless of your changing circumstances. 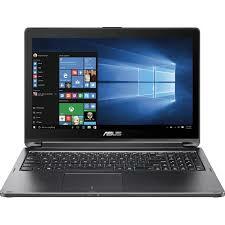 With a rent-to-own laptop, for instance, you could return the device and stop paying, so you would not be on the hook for the entire amount, and you would still get the benefit of the laptop for the time you had it in your possession. Another option for rent-to-own is a short term rental agreement. You might be able to try out something to see how you like it. A new laptop perhaps, or a new gaming system you always wanted to try. You could rent one for a few months and decide whether or not you want to pursue actually buying one. This isn’t the best way to use the rent-to-own system but it’s much more economical then renting the electronics outright. If you decide it really isn’t what you want, you can return it and get out of the rent-to-own agreement or you can upgrade or even downgrade to something else. The point is you don’t have the expense of paying for the whole thing up front, and you have the flexibility of trying something else if what you purchased isn’t ideal for you. Renting to own does end up costing more than paying cash, but not everyone can pay for electronics with money up front and rent-to-own is often much cheaper than purchasing your electronics with a credit card or with in-store credit. Rent-to-own for many people is the financial decision they could make when purchasing things such as high-priced electronics.